Would you like to order merchandise with your face on it? Print copies for friends and family? Now it's possible. You send photos of your face and we provide you a link to download your digital caricature. It only costs $100 for one face like the drawings above. For special custom jobs, contact Jeff here and we'll provide a quote based on your needs. New commissions subject to artist's availability. Great for avatars, business cards, Facebook, and ordering any of dozens of products from our download site. Face and shoulders only. 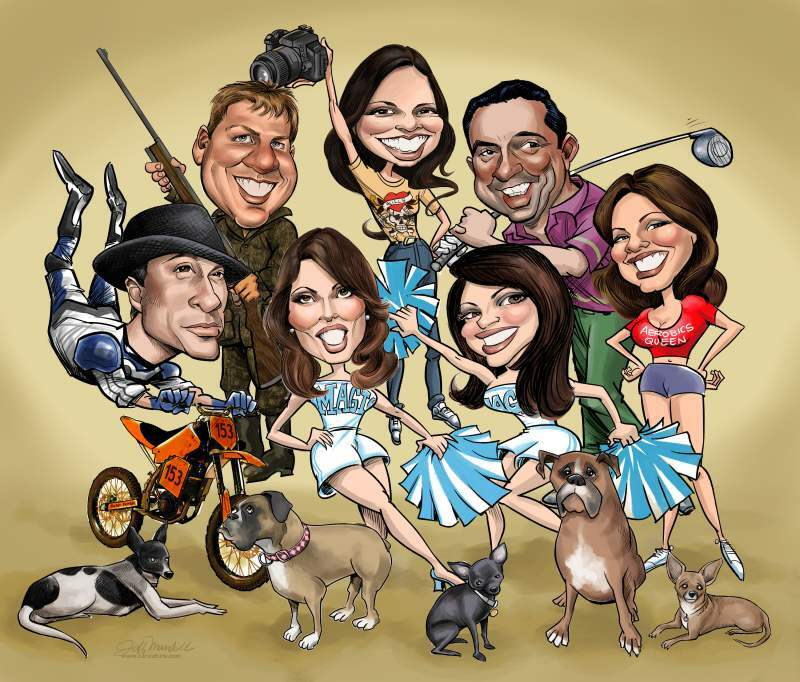 Contact us for more detailed caricature illustrations. You must make a payment using the link above for work to begin. Just select the number of faces you are sending. In the special instructions, tell us whether multiple face are to be drawn separately or together. You can send photos to us here. Each face is created 1200x1800 pixels and emailed to you as a jpeg file. There is even a discount for multiple faces. 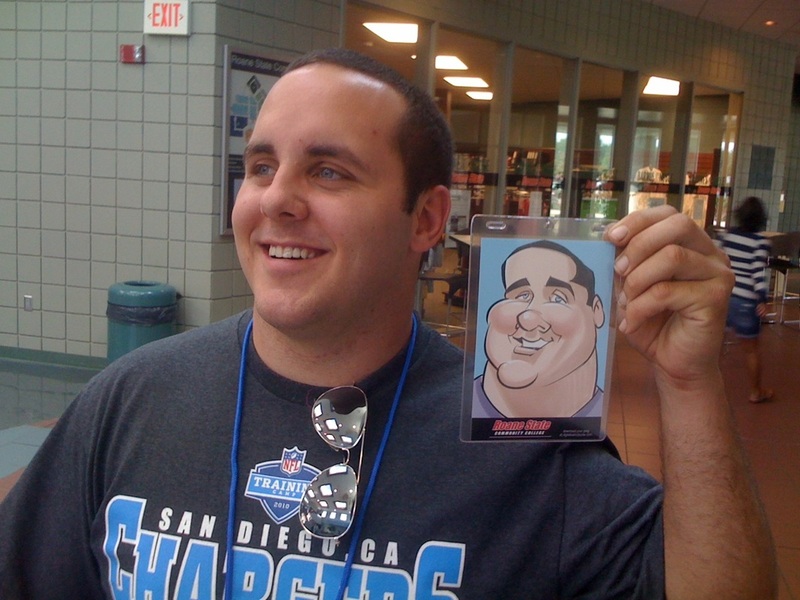 Have you booked us at an event for live caricatures or for an illustration? You can pay the deposit we agreed to using the button below.